I'm not very handy in the kitchen, but love using my slow cooker to prepare easy meals that produce leftovers for the following night. Having zero talent in the kitchen, the title of The Easiest Slow Cooker Book Ever by Kim McCosker definitely appealed to me and after borrowing a copy from my library, I soon realised I'd be needing my own. That never happens! I started reading this last year, but wanted to wait until I'd tried some of the recipes before writing my review. The most popular recipe so far has been the Pulled Pork (Burgers). I serve mine with mash and with just two of us it lasted for several dinners and lunches. It was also an incredibly cheap meal to produce which also has its advantages. I don't know about you, but when a slow cooker recipe asks me to start by browning meat in a frypan, my eyes roll and I swiftly move on. If I was going to brown meat in a pan, then I may as well cook it there. I'm happy to say only one of the recipes in this book begins this way and I was relieved. The worst or most unsuccessful recipe so far (for me) was the Hawaiian BBQ Chicken. I just didn't like the texture of the chicken and won't be putting whole chicken breasts in the slow cooker again. I'm still looking forward to trying out the following recipes from the book: Beef Stroganoff, Easiest Roast Beef Ever, Country Chicken Casserole, Fiesta Chicken and Potato and Leek Soup. Yum! Kim McCosker is the author who wrote 4 Ingredients and I just found out she's an Australian author too! How did I miss that? I love Kim and Rachael's books I have them all even the kids edition. I'm a simple cook. I leave the fancy stuff to my husband. Thanks ShelleyRae, and wow, I didn't know you've had recipes published. 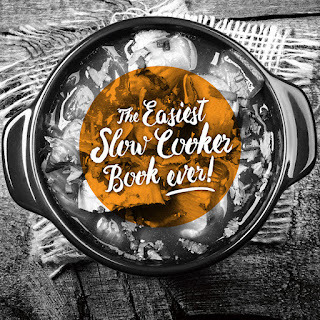 Is it Slow Cooker Central 2 by Paulene Christie?